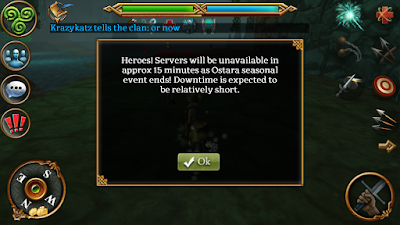 Server resets are done periodically for maintenance, resetting all the bosses. This is a guide on what to do when servers get reset. How do I know about a reset? Where should I go during a server reset? You will generally know when a server reset is happening. Move your character to the right spot beforehand and park there. Main clan kills 210 event boss. When you do this will depend on server competition and what bosses you lock. The server is going down. Now what? If you can't log in, that means OTM is doing maintenance on the login server and you will have to wait for that to come up. because you are already lixed... remember? Necro, Proteus, and Gelebron are generally not lock battles and can be left for later. That's it! Follow this plan and you will have a successful server reset for you and your clan! 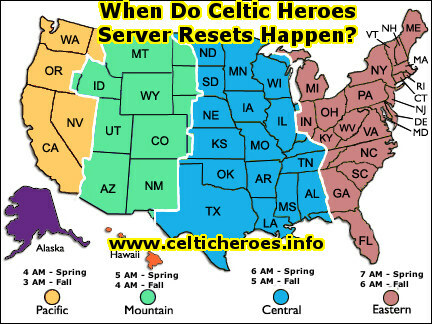 See the spreadsheets below for a full list of server reset times based on your location and DST/non-DST.